Ricardo Silen is a freelance photographer from Northern California. Originally from Pennsylvania, Ricardo has lived and worked in the Bay Area for many years. One of his biggest passions is travel so at least once a year, he flies to a different country to explore and learn about its history, its culture, and its people. He has traveled throughout Asia and Europe but never stepped foot in Turkey. 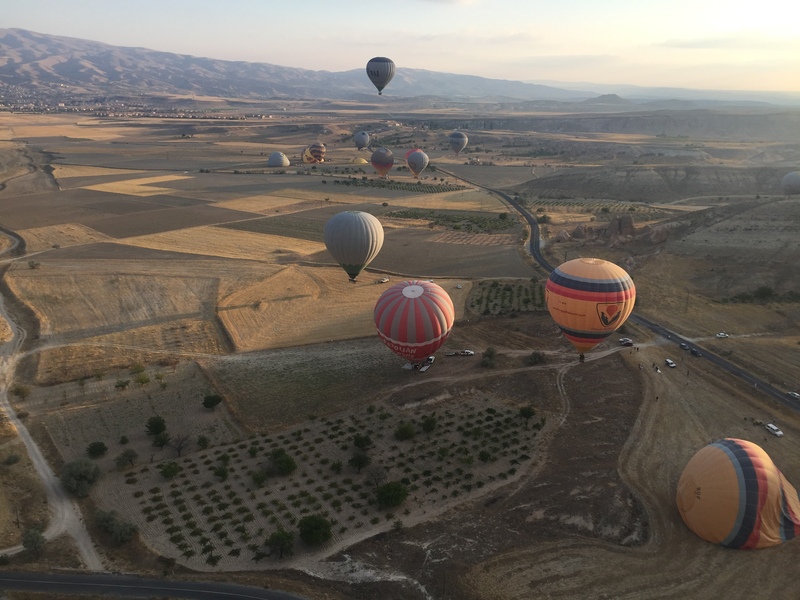 Earlier this year, Ricardo brought his camera and flew to Turkey. This week Ricardo speaks to atlas about his impressions of the people and the culture, his first balloon ride, and his photo essay on this history-rich country. 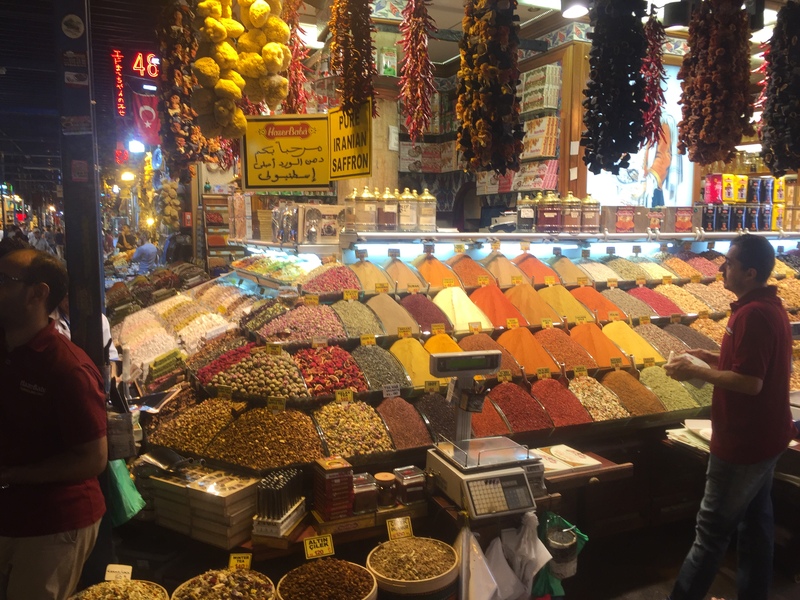 What inspired you to travel to Turkey? Ricardo Silen: I have traveled to many places in Europe and East Asia so now I have to connect the Northern Hemisphere dots between those places. Iran and India are next. What were your impressions of Istanbul? 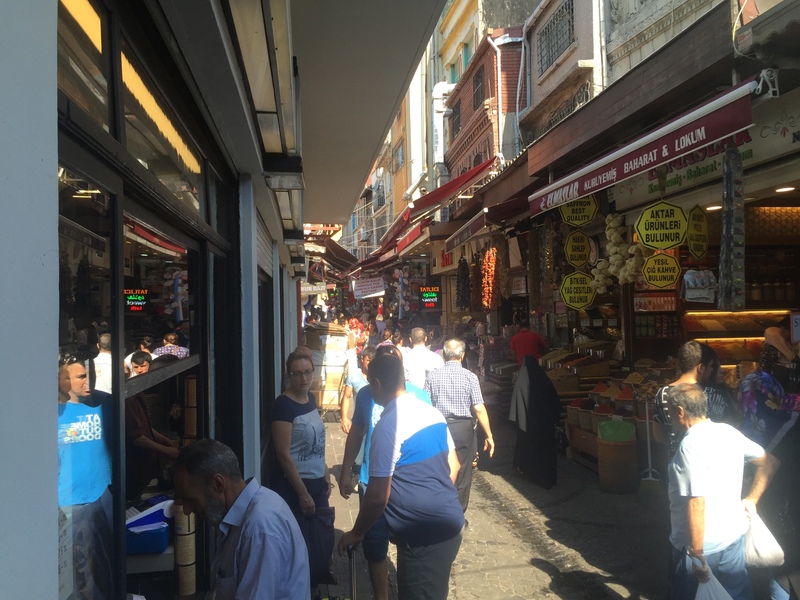 Beyoglu district, south and west of Taksim Square, was full of lively outdoor cafes or open-air restaurants in the winding narrow streets that branched off from Istiklal Street, the main closed-to-cars shopping street. On weekend nights, hundreds of folks flooded that area to eat or smoke or drink tea or raki (an Ouzo-like drink). Kadikoy district, a short ferry ride across the Bosphorus on the Asian side of Istanbul, was also a popular spot for the same kind of fun, and seemed to have a much better beer selection in its cafes. The Bosphorus itself was spectacular. One morning I stood on its western shore and watched the sun rise over Kadikoy. Then on one evening I stood on its eastern shore and watched the sun set on the Old City. I also took a fun and inexpensive ferry cruise one afternoon along the length of the Bosphorus — from about where it meets the Sea of Marmora to about where it meets the Black Sea. 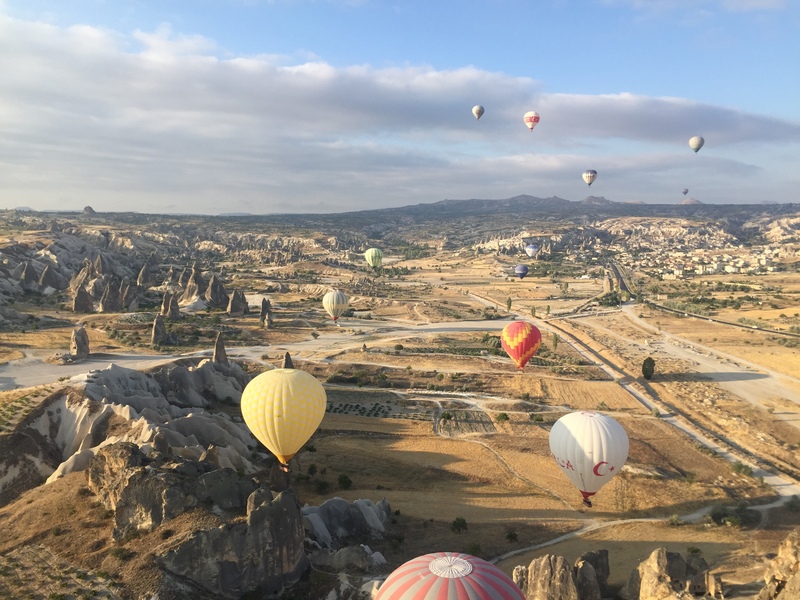 One of the coolest things of my trip was probably my balloon ride in Cappadoccia which is several hundred miles east of Istanbul. Millions of years ago it was a very active volcanic region. There is still a large dormant volcanic cone visible in the area. That volcano covered the region in ash, which eventually became a soft rock called tufa. This type of rock is relatively easily eroded or carved out, which is what accounts for the interesting rock formations and valleys. Throughout the centuries, people have also carved homes in the rocks. And there are also a number of old underground cities in the area; I visited one called Derunkuyu that goes back to at least the 8th century BC. 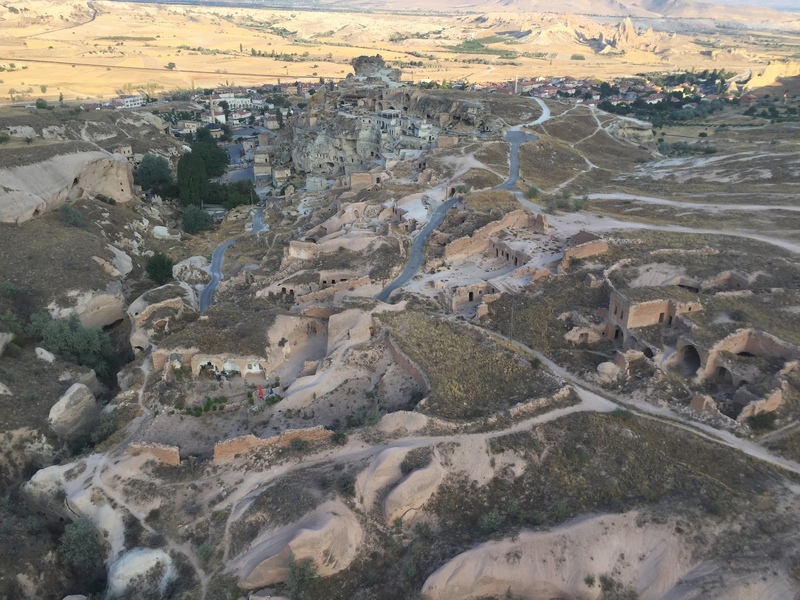 There is also plenty of good hiking through the tufa valleys near a small town called Goreme where I stayed. Can you tell us more about these photos you captured from your trip? The best pics from my trip were the ones from the balloon ride, which is odd because I took them while I had one arm wrapped around one of the basket’s support poles so that I would not fall out and die. I wish that I could take good pictures of ordinary street scenes when I travel because, more than the famous sites, it is seeing people go about their everyday life slightly differently than we do in the U.S. that is my favorite part about traveling. But I am a bit uncomfortable about turning other people into unwitting props for my photos. And when I do selfishly break that rule and sneak a photo, it never captures the feeling that I experienced being there. The highlight of my trip was having baba ghannouj (mashed eggplant). I have always loved mashed potatoes but never I never imagined that there was mashed eggplant. The biggest thing I took away from the trip is that Turkey is not dangerous. The locals want people to come and visit. Thanks for being our featured photographer of the week, Ricardo! All images © Ricardo Silen.